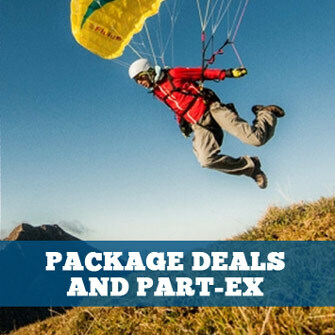 New products and current models for paragliding, hang gliding, free flight, and paramotoring / powered paragliding (PPG). Our Harness MATCH service is a buying service secured by a deposit. It does not add anything to the cost of the harness. This non-refundable deposit confirms your intention to order. It allows you to take advantage of our expert guidance and get a professional fitting. 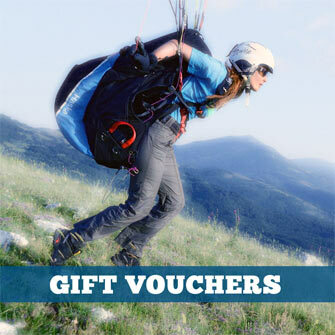 Your harness is as important as your wing in terms of its contribution to the handling and safety of your paragliding equipment. A harness isn’t cheap and it has many parameters for adjustment. It really pays to get the best one and to take the time and attention to have it set up optimally. Our Reserve MATCH service is a buying service secured by a deposit. It does not add anything to the cost of the reserve. This non-refundable deposit confirms your intention to order. It allows you to take advantage of our expert guidance: you get personalised advice to find the one that matches your skills and requirements. Get it right! Our Instrument MATCH service is a buying service secured by a deposit. It does not add anything to the cost of the instrument. This non-refundable deposit confirms your intention to order. It allows you to take advantage of our expert guidance: you get personalised advice to find the one that matches your skills and requirements. The Windy Flying Suit Lite is light, compact and versatile. Use alone over t-shirt and shorts on warmer days, or layer with thermal wear in cooler weather.